If you are a Veteran with a Sleep Apnea VA Claim, you might have noticed that finding information about how to service connect sleep apnea is like searching for the Holy Grail. ….the harder you look, the less you find. Why is that? 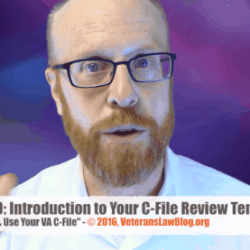 With so many Veterans suffering from sleep apnea – and the medical conditions it causes – why can’t there be MORE information for Veterans filing VA Sleep Apnea Claims and Appeals? This is the question I set out to tackle when putting together the VA Sleep Apnea eBook Package. I Will Teach You How to Improve Your Sleep Apnea Claim! Between April 30, 2013 and April 30, 2014, the BVA issued 1,845 decisions in Veterans Sleep Apnea Appeals (according to Lexis). 76% of the Veterans’ Sleep Apnea Claims or Appeals were Denied or Remanded for more evidence! That means that 3 out of every 4 VA Sleep Apnea claims are being denied – but only after Veterans spend years in the VA Hamster Wheel! Veterans NEED Information and Education to Improve their VA Sleep Apnea Claims and Appeals. 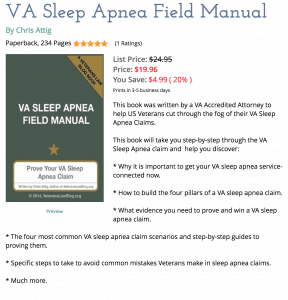 I decided to do something about it: I wrote the ONLY Sleep Apnea Appeals and Claims Guidebook for Veterans battling the VA. 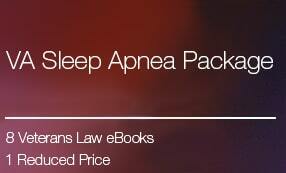 In this Training Package, I will teach you to Build your Sleep Apnea Claim – the Right Way. First, I want to educate you about the basic problems Veterans face in Sleep Apnea Claims. Not only can you read how to prove a Sleep Apnea claim, but you will also learn the Top Reasons Veterans get denied, and the Biggest Mistakes Veterans make in Sleep Apnea Claims. 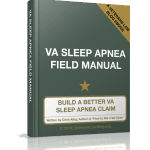 This Sleep Apnea Guidebook is the MOST thorough resource available for Sleep Apnea claims to the VA – its over 167 pages long and LOADED with information to help you Improve Your VA Sleep Apnea Claim. 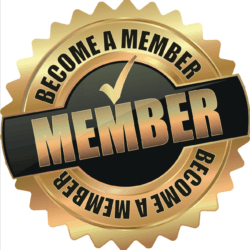 Click on the Button below to Get Started on YOUR VA Sleep Apnea Claim…and learn about a few BONUS Benefits & Features! 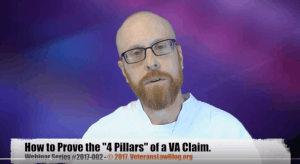 Second, I’d like to teach you what MOST Veterans DON’T KNOW about how the VA Claims Process – how it really works, and the 5 DIFFERENT paths to prove Service-Connection. 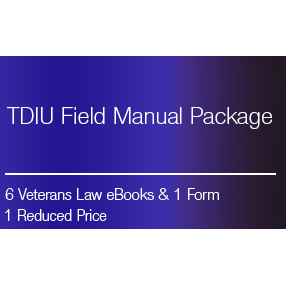 This package will make you among the Smartest – and most prepared – Veterans battling the VA – read to learn more about each book. 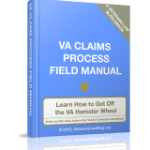 Begin to understand that the VA Claims Process is a ladder – not a Hamster Wheel. 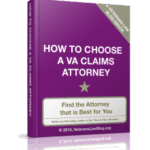 This Veterans Law Guide will help you “choose your battlefield” in the 3 major stages of the VA Claim and Appeal. 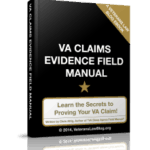 #4: The Secret to Proving Your VA Claim. 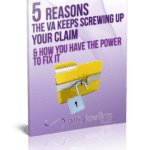 I see it all the time – a Veteran gets in over their head in their VA Benefits claim, and then scrambles to find an attorney. Often, they make a choice that may not be ideal for their claim. 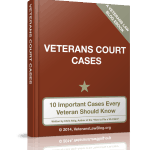 I teach Veterans everything they should know before hiring an attorney in a VA Benefits Claims. Included is a 30-question checklist to use when interviewing attorneys. 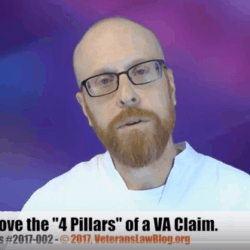 How to Prove the 4 Pillars of a VA Service Connection Claim (5+ hr Streaming Video, broken into easy to follow and informative downloads! 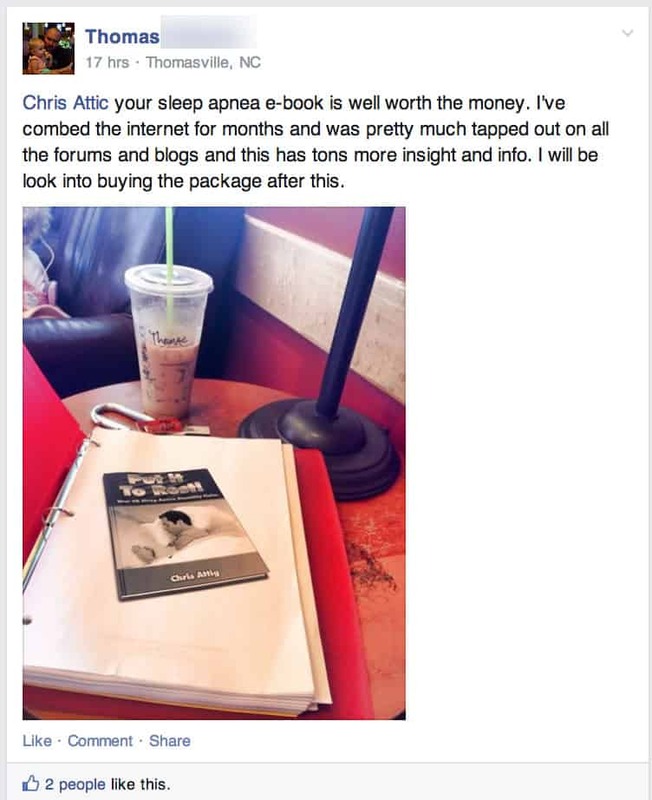 “Chris gave me the knowledge to file a claim for Sleep Apnea. I read his information, submitted medical documents, received a Letter of Nexus or comments from a VA contractor doctor. “You explain in plain language what works and what doesn’t and why it doesn’t. Your E-Books on all phases of the claim are so helpful. Your book on Lay and medical evidence is fantastic and easy to follow. “I have an insight now that I did not have until I found your web site and the E Books. “[Y]our Ebooks would be my 1st step, if I had to do [my claim] all over again. “I would like to say THANK YOU for all the great information I read and used in the Ebooks. I feel like “I Spent a Night at the Holiday Inn Express” . 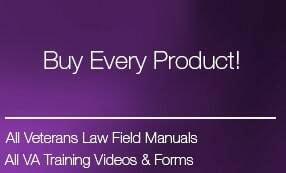 “Your book(s) were of immeasurable value to me…The info in there has allowed me to get my claims back on track for the first time ever….